Once in a while, the roads you travel lead on an adventure not expected. Such was the case with a detour through the town of Mount Pleasant, Ohio. Meeting local people, while viewing their historic buildings, led to information unexpected but very exciting. 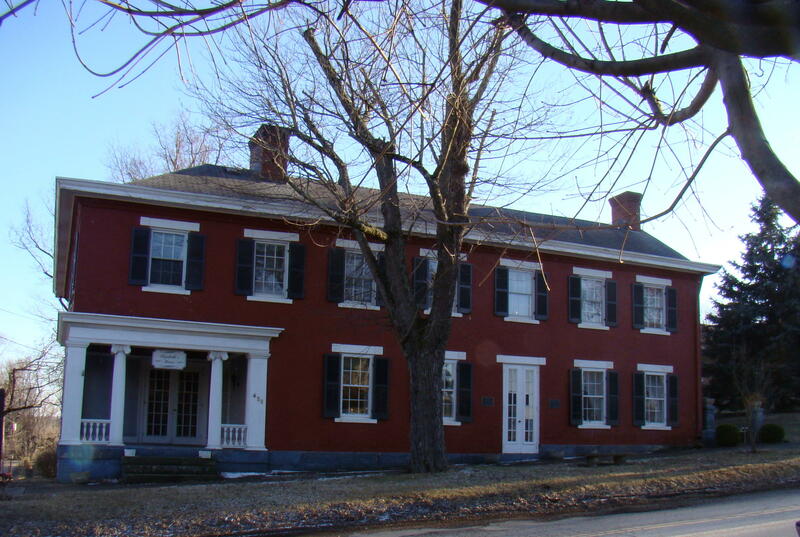 Back in 1803, Mount Pleasant in Eastern Ohio became home for a large group of Quakers, who were searching for a haven from slavery. 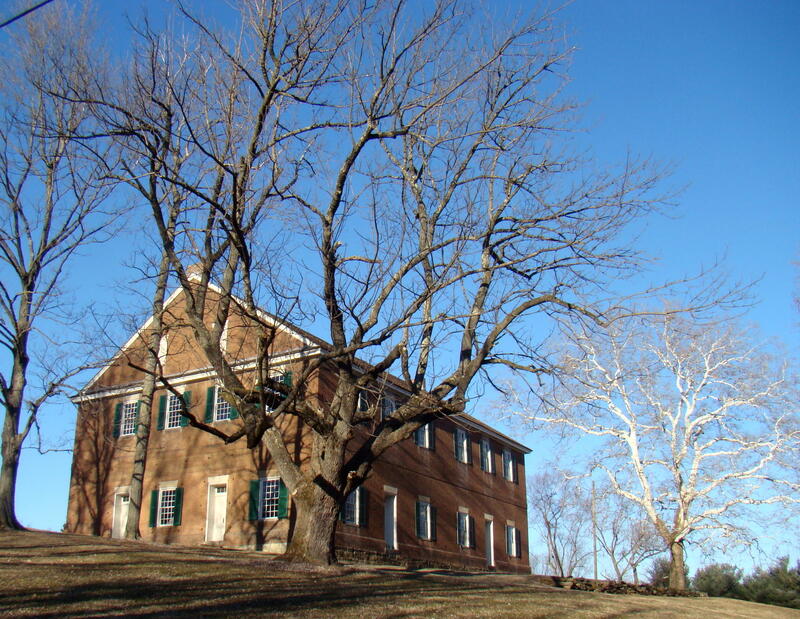 Before long, the Quaker Meeting House was constructed and became the first yearly meeting house for Quakers west of the Alleghenies. The basic design reflects the simplicity of Quaker life, while its two-foot-thick brick walls show their strength. Much of the history of this small town relates to the settlement of abolitionists and their active anti-slavery movement. The entire community was an early safe haven for runaway slaves, even before the Civil War. 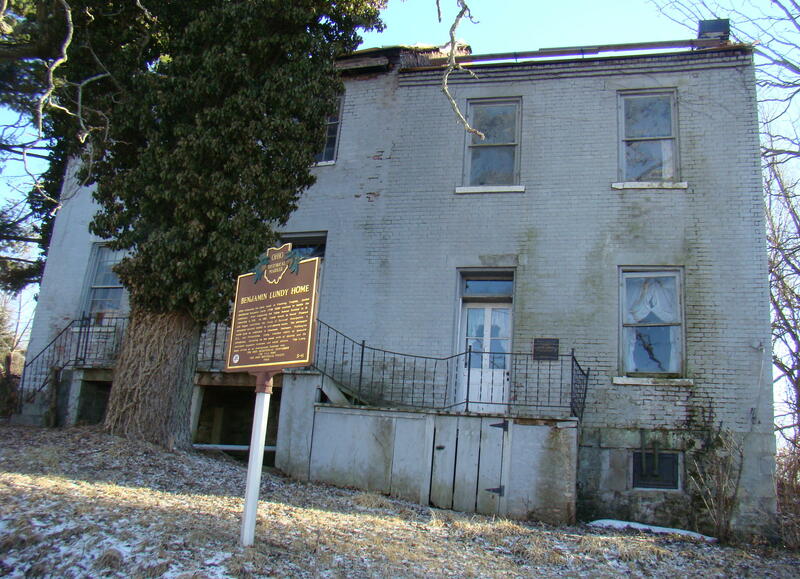 One of those Underground Railroad stops was the home of Benjamin Lundy, who desired to battle the institution of slavery in several ways. Moving to Mount Pleasant in 1821, he began publishing a paper called, Genius of Universal Emancipation, devoted entirely to anti-slavery issues. He traveled all over the country explaining the evils of slavery. One of the early stores was the Harris-Bone Store built of logs in 1804. Today that store still stands on a prominent corner in Mount Pleasant attracting passers-by to stop and take a peek inside. During the summer months, tours are held, but otherwise you can still get a great look through the front windows. You wouldn’t really think about a small town like this having a famous personality, but it definitely did. Listen up baseball fans! Who was the first African-American Major League baseball player? Jackie Robinson? Not so! 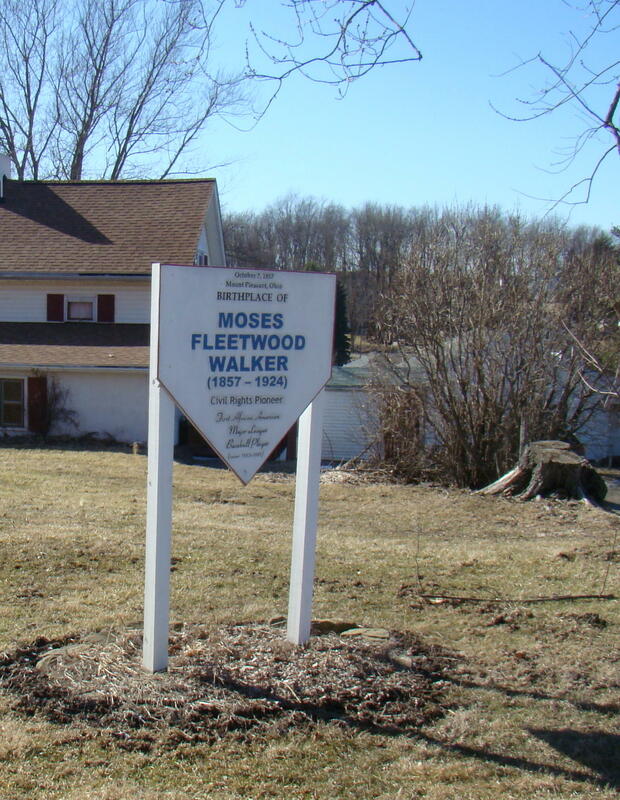 At the side of the log cabin store, a sign displays in large letters that this is the birthplace of Moses Fleetwood Walker, the first African-American to play in the American Association back in 1883. Moses’ father, Dr. Moses W. Walker, served as a medical doctor in western Pennsylvania prior to the Civil War. Upon moving to Mount Pleasant, Dr. Walker served as a minister at the Baptist Church and became instrumental in helping many slaves through the Underground Railroad. 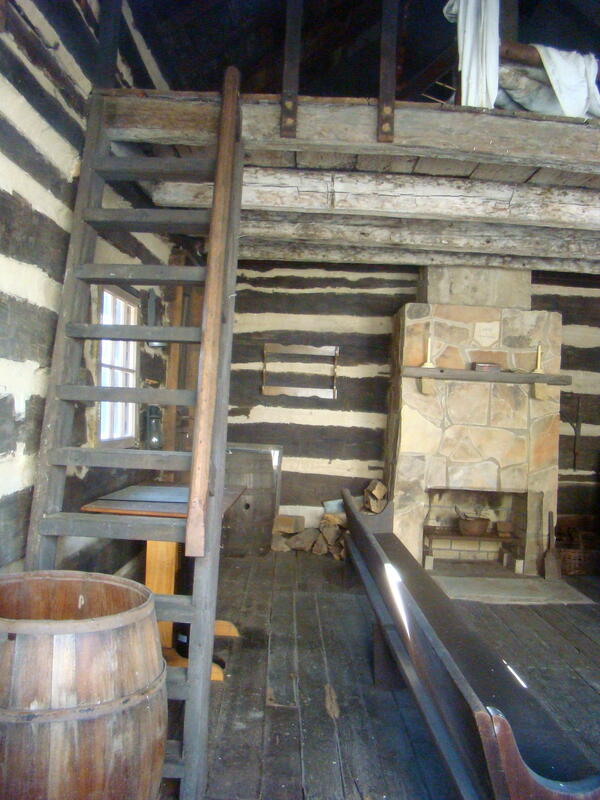 While the slaves were staying with him, they helped build the Walker family home. “Fleet” possessed a rock arm in his position of catcher for Oberlin College, University of Michigan Law School and then the professional Toledo Blue Stockings. After a season of being scorned and jeered by opposing teams as well as his own teammates, Fleet returned to the minors after an injury. Following his baseball career, Walker attempted several business ventures: owning a hotel, movie theater and even an opera house in Cadiz, Ohio. Just a short walk from the Harris-Bone Store can be found the “Hidden Gardens” of Pete and Jean Petra. Pete has a greenhouse in a section of his house and raises most of his plants. Every year he tries to have something new and interesting in his Garden, which basically surrounds his house and extends to an open lot nearby. Prepare to be surprised! Another spot filled with memories of the past is the Elizabeth House Mansion, formerly the John Gill home built in 1835. Gill actually planted a mulberry tree here, then imported silkworms from China to perform their magic. In the 1800’s, this tree produced the silk for the first American flag ever made out of silk. The first weekend in August is a perfect time to visit Mount Pleasant as at that time they give tours of the town and Pete and Jean’s “Hidden Gardens” are at their peak. Climb aboard the Underground Railroad as you walk the streets of this friendly old town where the anti-salvery movement got an early start. Mount Pleasant, Ohio is located on Scenic Byway State Route 150 in Southern Jefferson County. It can be reached most easily from I-70 by taking Exit 215 and following the curving, scenic route to the town. Souds like a fun day. I used Mount Pleasant, Texas as the locale for my WIP. Will be interesting to hear what your story is about in Mount Pleasant.